A renowned and accomplished public speaker, the proud father of two sons Darien Jr. and Devonte Malachai, the current Principal of Cumberland High School in Portmore, St Catherine. Darien G. Henry previously served as a Lecturer at the Excelsior Community College where he taught Communication, Public Relations, and College English. He also previously served as a Senior Teacher/Head of Department at Jamaica College and Senior Teacher/ Grade Supervisor at Ardenne High School. He has been credited and commended for leading consistent high percentage passes in Communication Studies and English Language with innovative teaching and student engagement strategies. Mr. Henry is also a trained Lead School Inspector with the National Education Inspectorate, NEI and has been trained and certified in the highly specialized leadership programme for aspiring principals administered by the National College of Educational Leadership and the Mona School of Business (UWI). He graduated with high commendation. So successful was he, Mr. Henry is now an active facilitator in the Effective Principals Programme as well as Aspiring Principals Programme where he teaches Managing Media Relations and the Essentials of Public Speaking respectively. He has become a highly sought after speaker, presenter and facilitator for staff development forums around the country and at education conferences covering topics ranging from Teaching and Learning, Teaching Boys, Teacher Professionalism, Leadership for Middle Management Professionals in Schools and Public Speaking for School Leaders. The Cumberland High School Principal is a highly respected moderator and conference chairman. He was selected to be the moderator of the recently held 11TH Policy Dialogue and Annual meeting of the International Taskforce on Teachers for Education. Previously be served has conference chairman for the TVET Leaders Summit and Youth Forum, Jamaican National Leadership Summit, British Council Boys in Education Forum among many others to his credit. 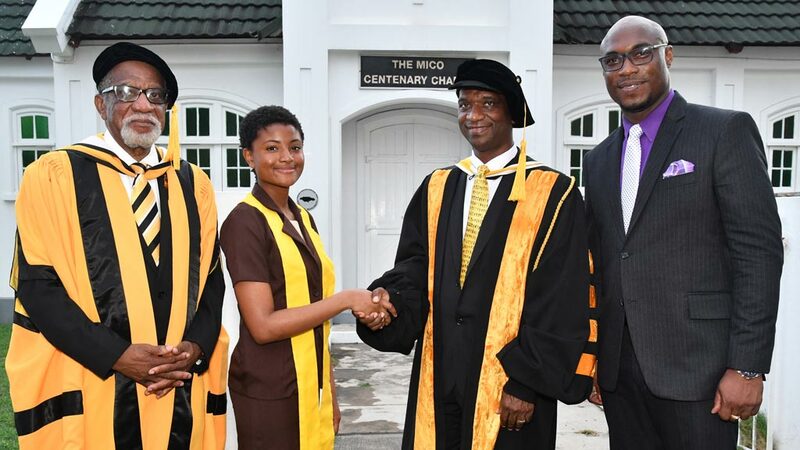 Darien Henry was the guest speaker at The Mico's 2018 Matriculation and Welcome Ceremony. Mr. Henry is a member of the Education Reform Monitoring and Advisory Committee in the Ministry of Education, Youth and Information and also a member of the Education Committee of UNESCO. In addition to his teaching career, Mr. Henry is an award-winning Broadcast Communication Specialist, who has been in the field of broadcast journalism for 25 years. He served as a Consulting Editor at the CVM Communication Group. Previously he was a Senior Staff Reporter and Producer at the RJR Communications Group for five years where he covered mainly education, parliamentary and political issues. Prior to that he served as Manager for Radio Services at the Jamaica Information Service and Reporter/Producer/ Presenter at IRIE FM. He remains the youngest Jamaican journalist on record to receive a National Journalism Award at 17 years old. Mr. Henry is an alumnus of the University of the West Indies and the Mico University College. His undergraduate research paper, “The impact of hotel development on fishing industries on Northern St. Ann coastline” was published in the respected Mico University College Journal of Education and he writes opinion editorial articles for the Gleaner and the Clarion magazine on various education issues.